I have encountered quite a few people in my Real Estate travels that incorrectly assume that anyone who owes more money than their home is worth and wishes to short sell their Massachusetts home can do so with no problem. Sorry folks but it does not always work that way. In some respects it actually doesn’t make sense that those who have kept their obligation to their lender, made their payments and don’t have a hardship are not always allowed to short sell their home. Sometimes life is not fair. It’s quite possible your neighbor may be able to complete a short sale and you might not be so lucky. Most but not all of the time your lender is going to require some kind of hardship in order to complete a Massachusetts short sale. In other words you are going to need to qualify for a short sale in order to complete one. Just wanting to walk away and get a less expensive home is not a reason to do a short sale and most likely the lender will deny the short sale request. 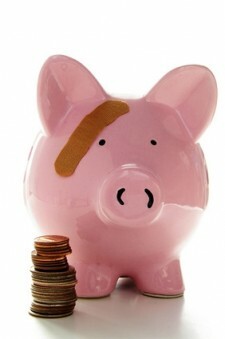 So what are some of the legitimate reasons a lender will consider as a hardship? A reduction in income through the loss of a job, disability, illness, or just the straight reduction in hours that a causes the inability to continue to make payments. Marital difficulties – Separations and divorces are legitimate reasons a lender will consider a short sale. An increase in expenses – Reasons could include an increase in dependents, an illness, etc. An increase in significant debts – credit cards bills, medical bills, legal fees and other similar types of debt. Death – Death of a family member who was a contributing factor in keeping the mortgage current. Also the corresponding loss of income or medical bills associated with the death such as funeral expenses, ect. Relocation for a job – The relocation must be due to a job change and lenders also typically require the move to be over 50+ miles. Military service – There are some lenders that will accept being called into military service as an acceptable hardship. When you are applying for a short sale you will be asked to write a hardship letter that is going to detail to the lender why you are no longer able to make mortgage payments on your home. The hardship letter will be one of the determining factors on whether a short sale is approved or not. Is there a possibility you could still do a short sale without an actual hardship? Yes it is possible. This is what is known as a strategic short sale. A strategic short sale occurs when there is no hardship and the owner could continue to pay their mortgage but it considering just “walking away”. In other words the seller would just default which is known as a strategic foreclosure. If it makes financial sense to the lender they may still consider a short sale where there is no hardship. In this case you can almost be certain the lender will either ask you for a cash contribution at closing or sign a promissory note. It may even be a combination of the two. If you are considering short selling your Massachusetts home I would make certain that you have done your homework on who you are going to work with. The Realtor that will be representing you should be well versed in all the legalities and procedures involved with a short sale. There are numerous Real Estate agents that are starting to work with short sales, yet don’t have a clue as to what they are doing. Hiring a Realtor to represent you in a short sale is far more important than a traditional sale. In all likelihood it could be the difference between getting FORECLOSED on or not! I would encourage you to read some of the Massachusetts short sale articles I have written below which covers most of the things you will need to be aware of to have short sale success. About the author: The above Real Estate information on acceptable hardships for Massachusetts short sales was provided by Bill Gassett, a Nationally recognized leader in his field. Bill can be reached via email at billgassett@remaxexec.com or by phone at 508-435-5356. Bill has helped people move in and out of many Metrowest towns for the last 24+ Years. Excellent article! Very important information for people to know. Here in Aggieland we don’t have too many short sales at all, so it’s the exception rather than the rule. Can you clarify the job change for me? Does that mean different employers? Wouldn’t someone qualify if their employer forced them to relocate? Thanks! This is one of the things that is so hard for people to understand. A bank will not approve a short sale for just a loss in value. A seller needs to show that there is a hardship associated with selling the home right now. You did a great job explaining this Bill! Chris – Thanks for the compliments on my short sale article. The employment question is probably on of the more loosely defined qualifications. With most lenders it would probably mean a change of employers but not necessarily with all of them. Terri – thanks for your comments:) I have had a few people that have wanted to do a short sale but were not qualified.